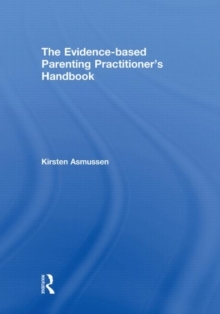 The Evidence-based Parenting Practitioner's Handbook provides a comprehensive overview of the knowledge necessary to effectively deliver evidence-based parenting interventions within community and health settings. Using clear examples of how this knowledge can inform frontline work with parents, this practical handbook includes:an overview of the policy context underpinning evidence-based parenting work in the US, UK, Australia and Norwaya discussion of how a robust evidence base is established and the ways in which practitioners can access information about good-quality research an overview of how research in the field of child development has contributed to the development of evidence-based parenting interventions an overview of how theories and research in the field of therapeutic practice have contributed to the development of evidence-based parenting interventions what research evidence suggests about the role of the practitioner in the delivery of evidence-based support outcome-focused methods for establishing the evidence base of new parenting interventions outcome-focused methods for commissioning evidence-based parenting services. Emphasizing the ways in which practitioners can evaluate and translate messages from research into applied work with parents and families, The Evidence-based Parenting Practitioner's Handbook is suitable for all those involved in the delivery of evidence-based parenting support, including frontline practitioners, service managers, parenting commissioners, heads of children's services and policy makers.